Something really, really, REALLY cool has happened. My friend Kerry (aka KidGiddy) sent a round of introductions between me and Anna Griffin, thinking that we would be a good match for projects. Anna designs some of the most gorgeous textiles, paper etc this crafty fabric world has to offer, her fabric is so soft and lovely. I am honored and excited to say that I have been asked to be a part of her sewing team. Here's the cool part (aside from the whole darn thing, I mean) every month I'll receive a shipment of not only Anna Griffin, but also Blend fabric to play with. I get to create something inspiring and write a tutorial for all of you! Isn't that fabulous? I received my first box, "Grace" and couldn't wait to get started. 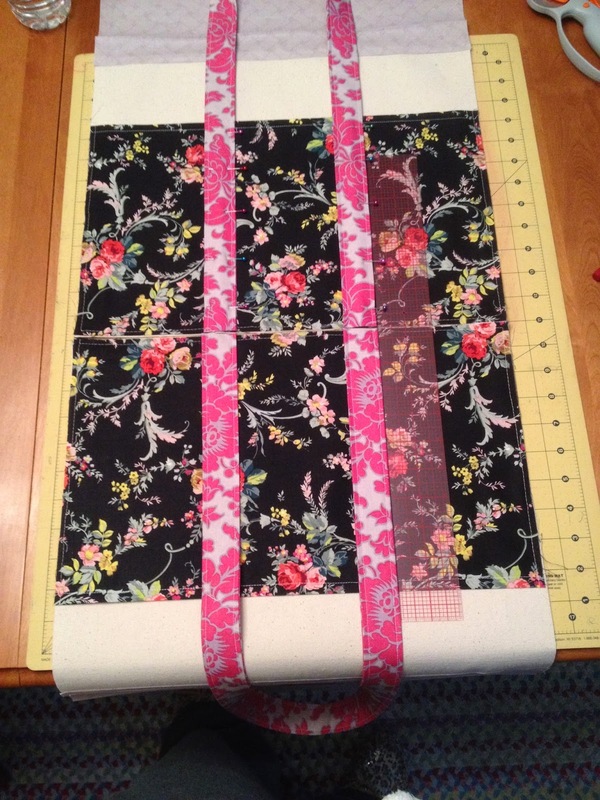 I knew immediately that the black floral was perfect for the project tote I had planned in my head. The hard part was choosing the accent pieces to go with it. I mean, just look at all this gorgeousness! 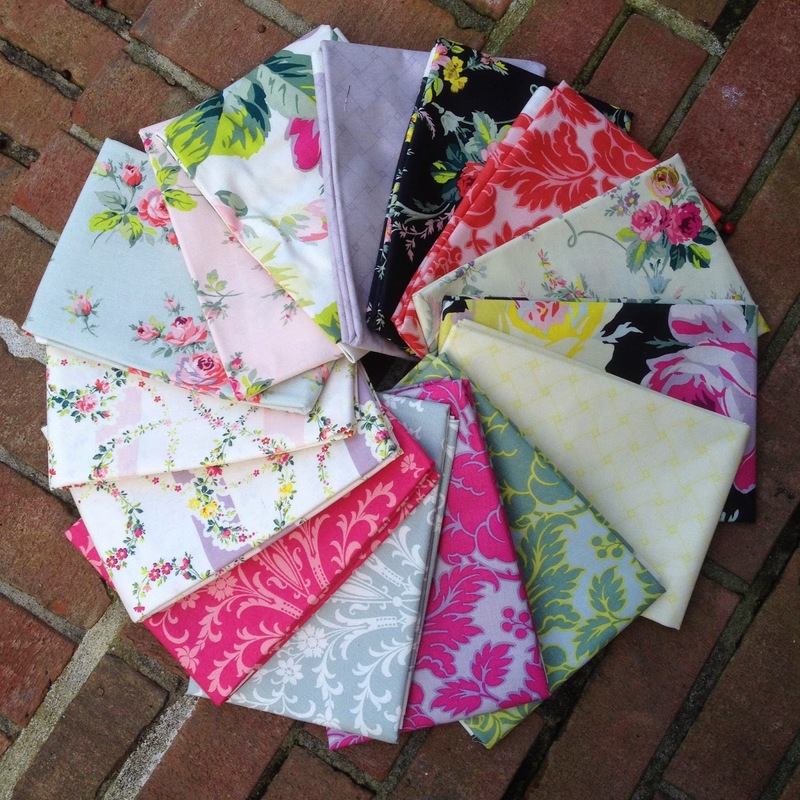 Somehow I managed to narrow it down, and now I am ready to show you how to make your own Seven Pocket Project Tote. 1. 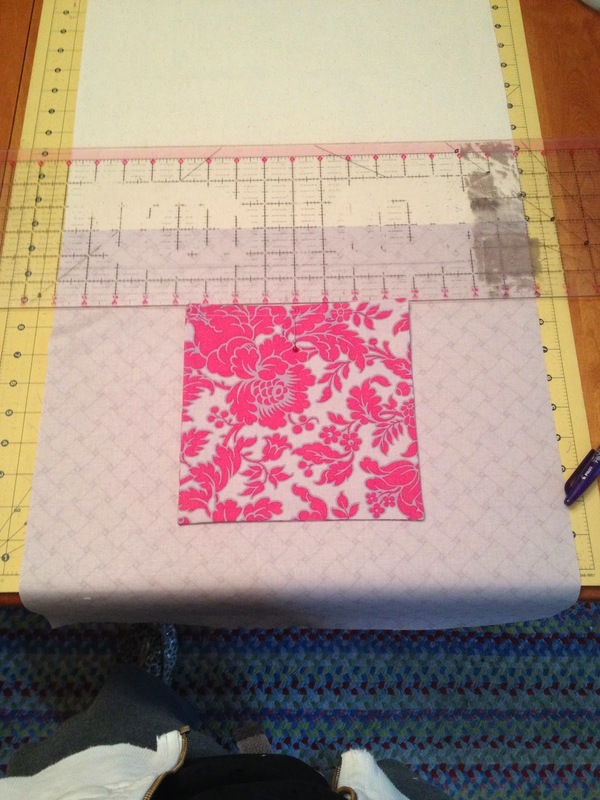 With wrong sides together, fold exterior pocket in half to measure 9 1/2"x16" and press; topstitch 1/4" from fold; set aside. Edgestitch the strap, beginning on the side with the double-fold to prevent the strap from bunching and twisting, then edgestitch the single-fold side; repeat for the second strap. Trim selvages from straps; set straps aside. 3. 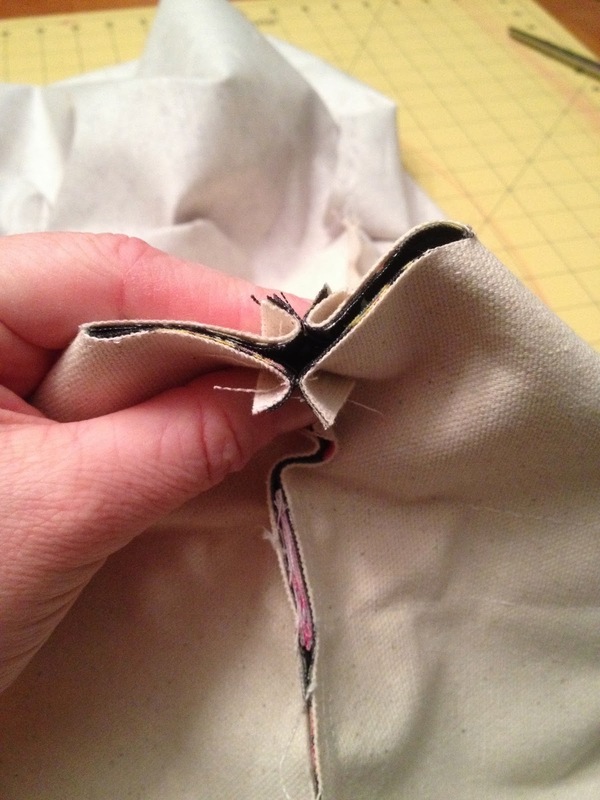 With right sides together, pin interior pocket pieces together, leaving a 3"-4" opening at the bottom for turning and stitch, be sure to backstitch at each end of the opening. 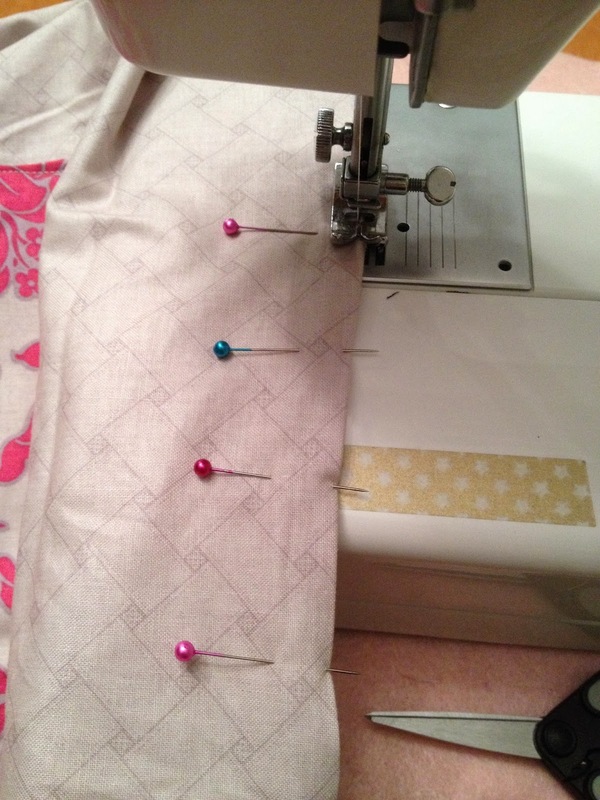 (Backstitching will prevent tearing and/or widening the opening while turning.) 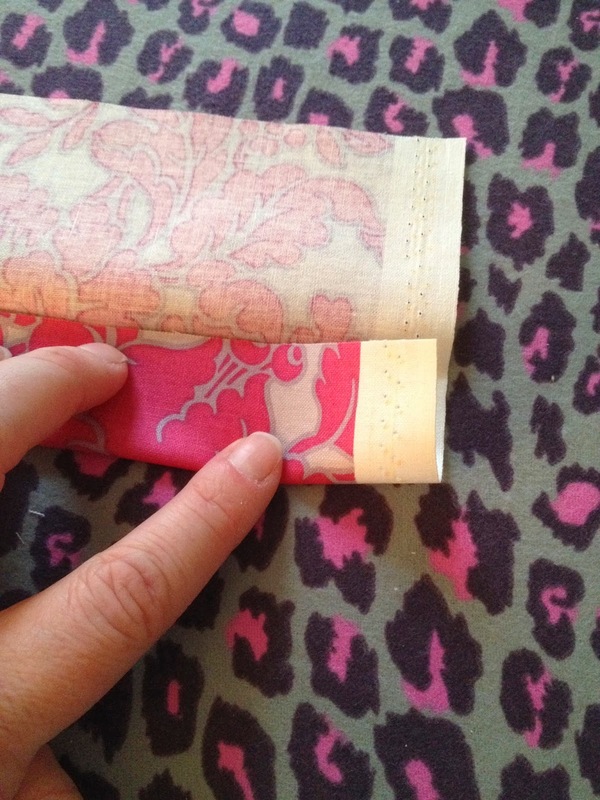 Clip corners close to the seam, turn the pocket right side out and press; topstitch 1/4" from top edge. Make sure the opening is at the bottom of the Pocket! 4. 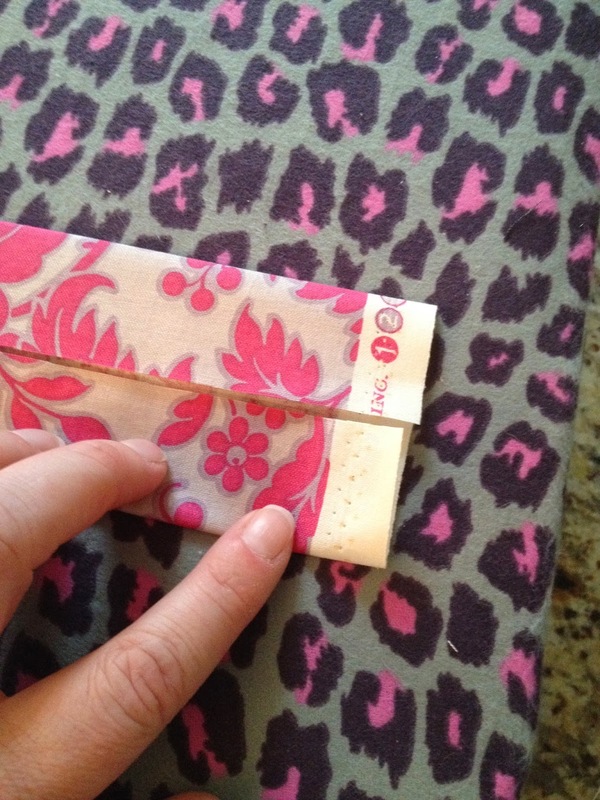 Find the center of the pocket by folding in half and making a mark. 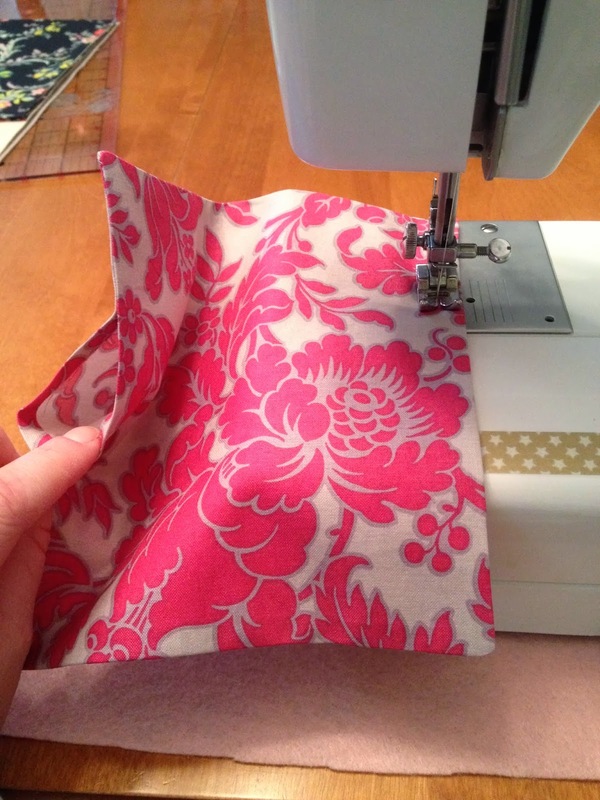 Do the same to find the center of one of the lining pieces. 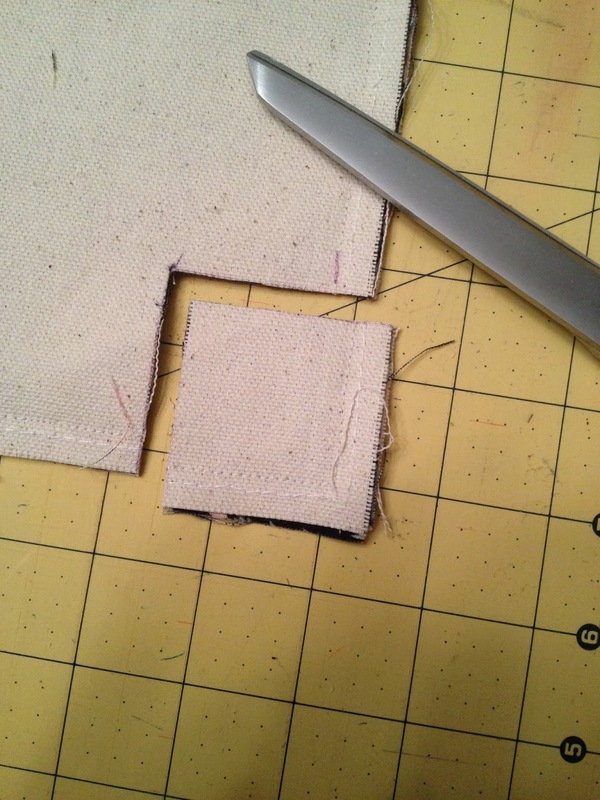 Measure 3" down from top of lining, lay the wrong side of the pocket to the right side of the lining, having center marks matched. 5. With right sides together, pin top of Lining to top of canvas; stitch. 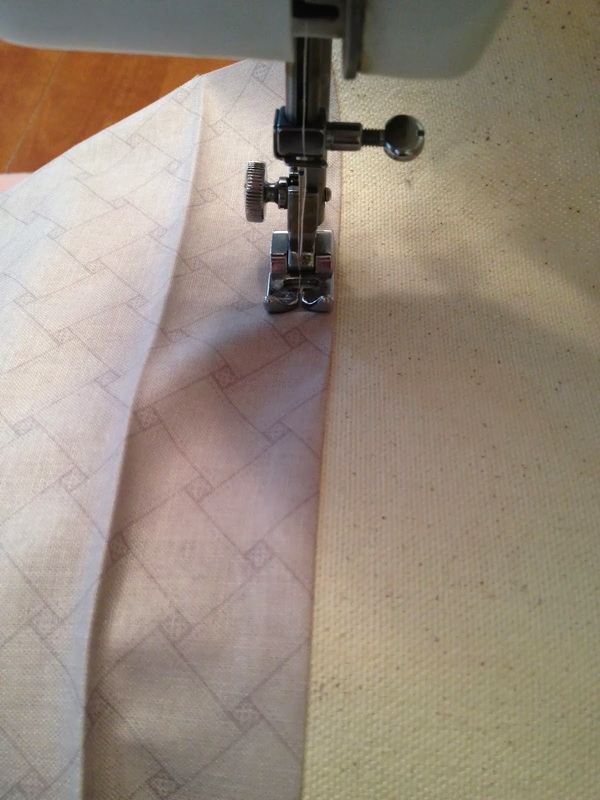 Press seam towards lining, then with wrong sides together, match bottom edge of Lining to canvas and press. 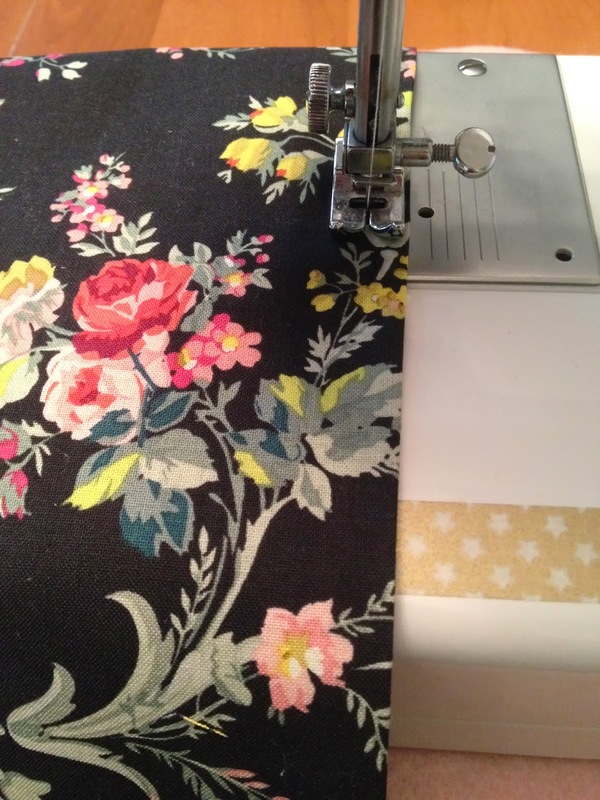 Open the Lining out and away from the canvas then topstitch the lining side of the seam. 6. Leaving the lining open as you did during topstitching, pin Exterior Pocket to bottom of canvas, having edges matched on bottom and sides; baste 1/8" from edges. 7. Find the center of the bottom of the bag, make a mark. Measure and mark 2" out on either side of the center. 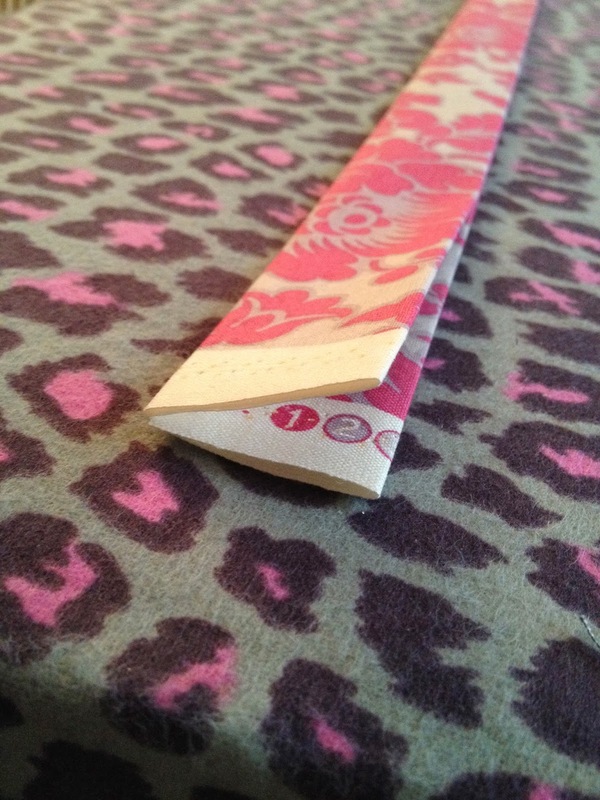 Match the double folded edge side of the strap to the marks, the ends should have 4" of space between them. Lay a ruler against the strap to make sure you are pinning it straight; sew along the stitching lines along the length of the strap. Go about 1/4" past the finished edge of the pocket, then stitch across the strap (parallel to the pocket) and back down to the bottom of the bag; repeat for the other half of the bag. 8. 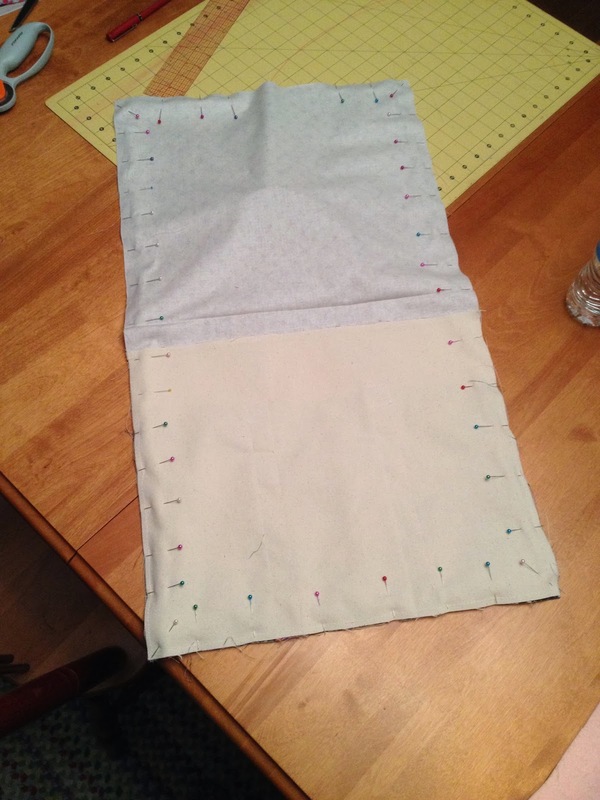 With right sides together, pin bag and lining together, leaving a 4"-6" opening on the lining for turning; stitch. 9. 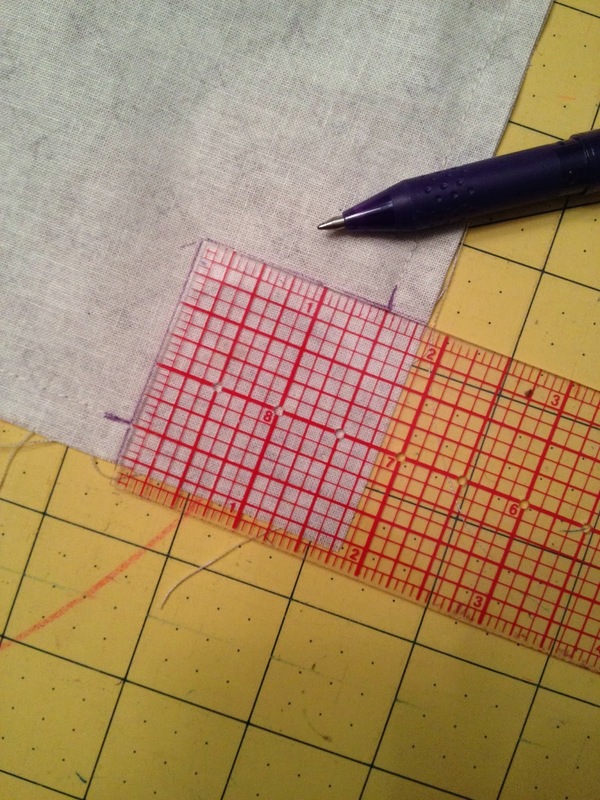 Starting the measurements at the seam line, draw a 1 1/2" square on all four corners. 10. 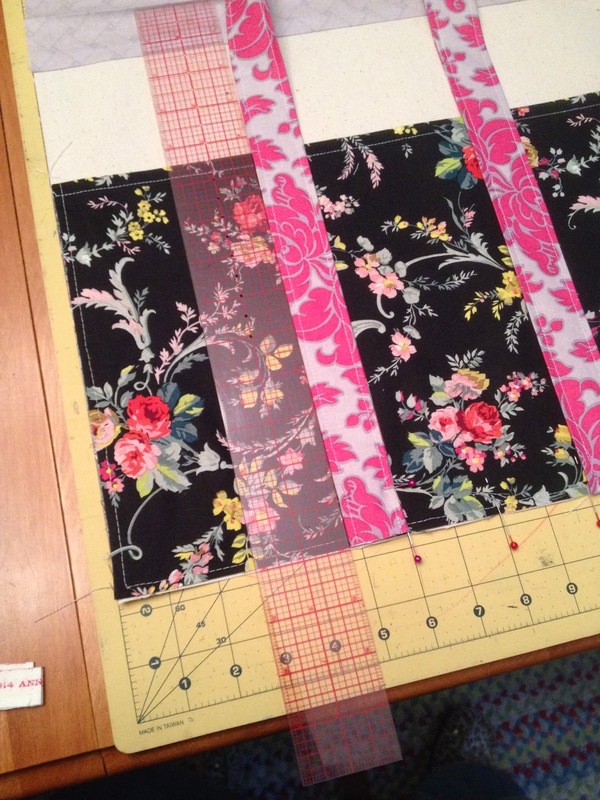 Match the seams, pinning them open, and stitch. 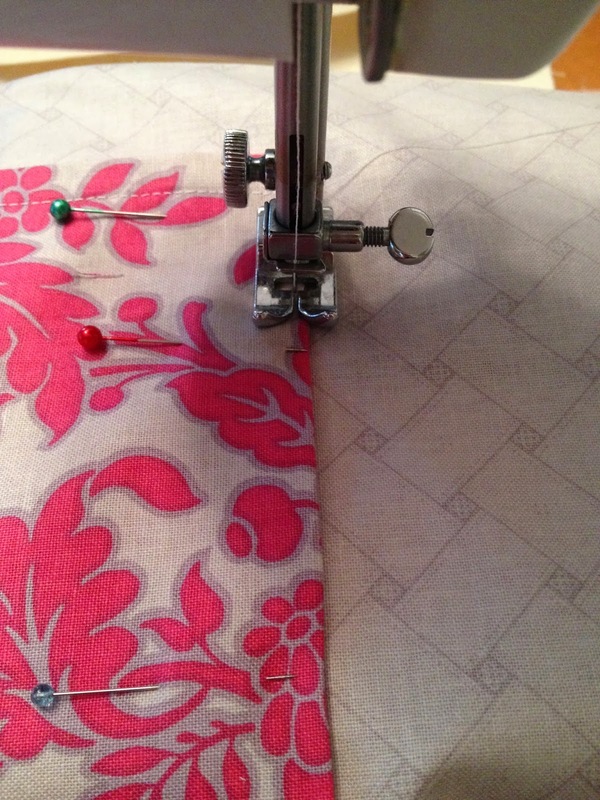 Repeat for remaining three corners; press all seams open as best as you can. 11. Carefully turn the bag right side out, poking out the corners with a chopstick or unsharpened pencil. Pin the opening of the lining closed; edgestitch. 12. Push the lining to the inside of the bag and press. 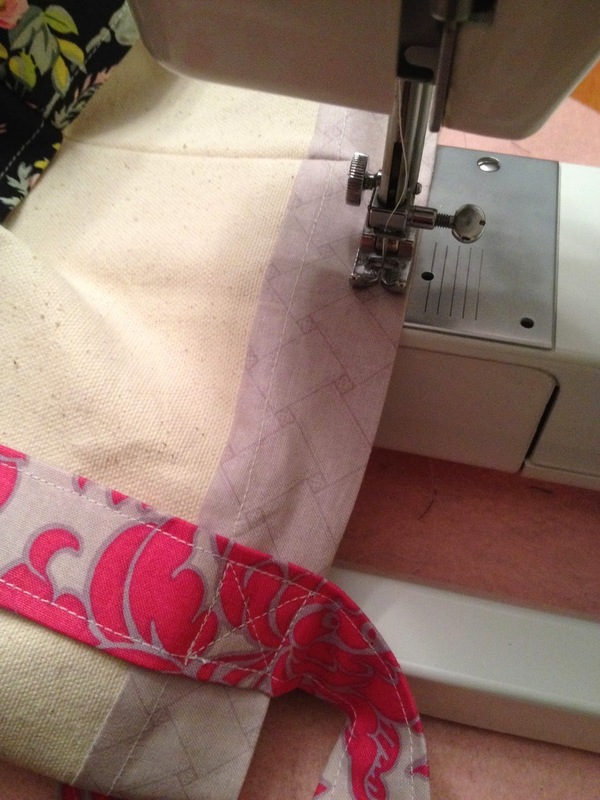 Pin the handle to the top of the bag, then topstitch all the way around. Give your bag a final press and you are finished! 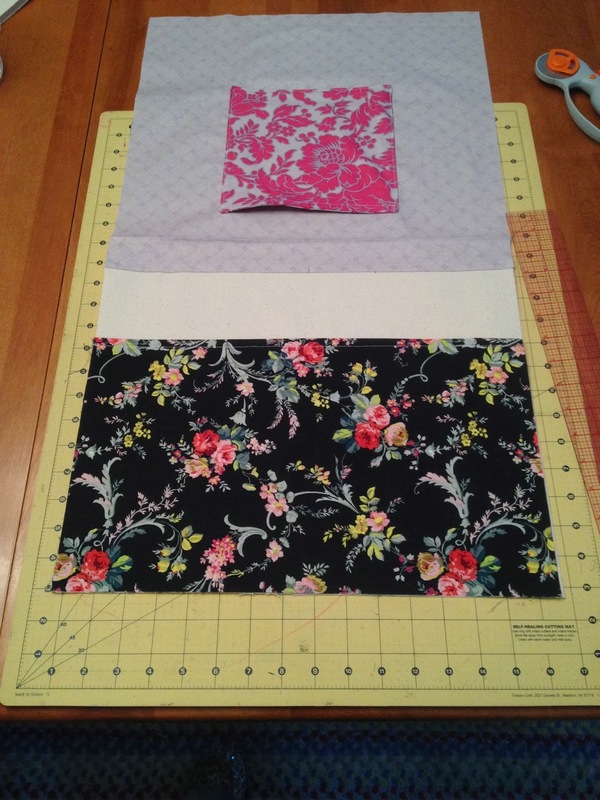 Six exterior pockets to stuff with all of your sewing and crafting supplies! 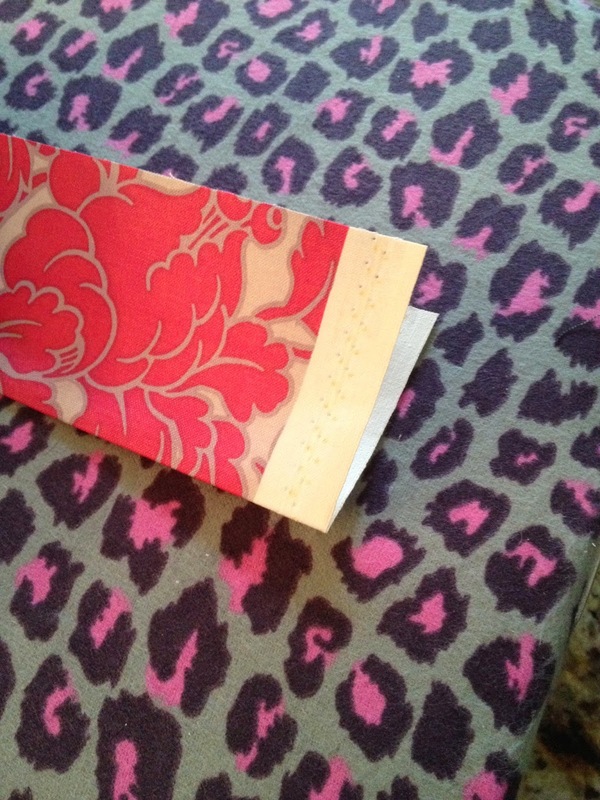 One inside pocket to hide your notebook, gum, wallet etc on the inside. Moms with babies might even like to use this bag as a quick trip diaper bag! I would love to see what you make with this tutorial. Please head on over to my Flickr group for inspiration and to share your creations. Congrats!! 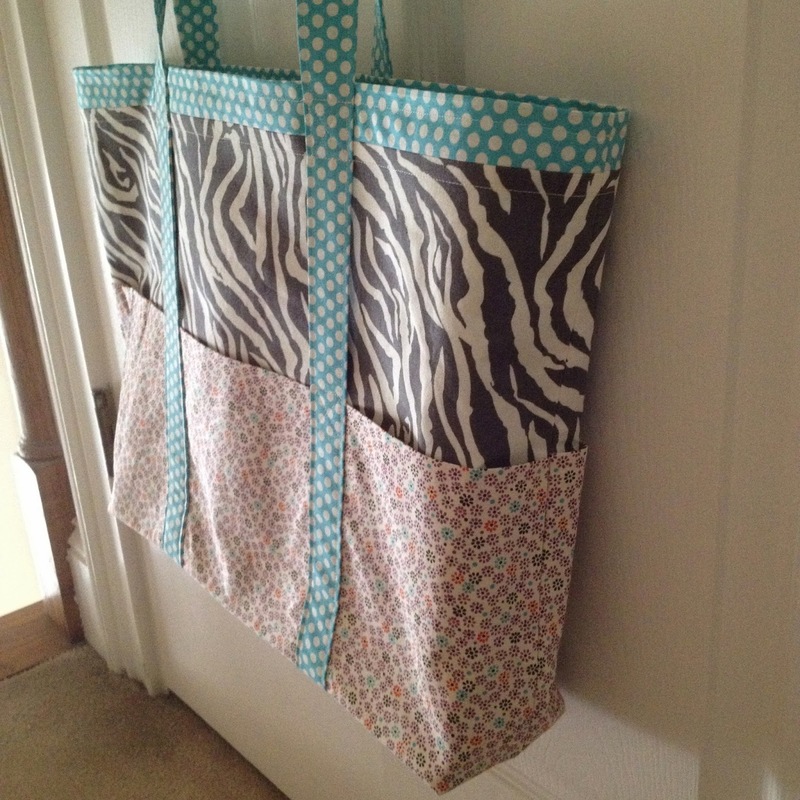 And great tutorial, I'll be making a beach tote!!! Thank you! I hope you upload your tote pictures to the Flickr group, I would LOVE to see what you make! Kristi! It's wonderful. Thank you so much. We are very happy to be working with you. Kristi! It's wonderful. Thank you so much. We are happy to be working with you. Gorgeous! I can't wait to try this project!!! 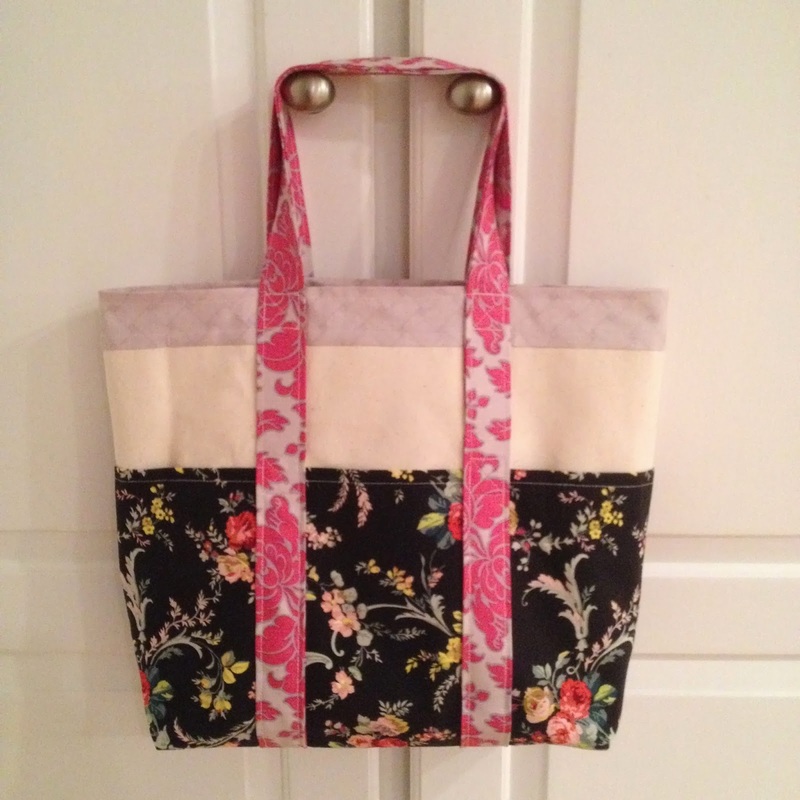 Great tote, and great fabric! Anna and Blend were smart to choose you! Could regular quilting cotton strengthened with Pellon 808 or the like be used in place of canvas, or would it not be sturdy enough? What about quilted panels?